In the last chapter of the bullying series, I wrote about bully parents (some people call them toxic parents) and although I think there is sometimes a fine line between carrying out our parenting responsibility and bullying, there is no doubt that bullying is a cycle that will never end unless we help parents stop it. Yes, we have law enforcement officers whose job is making sure it does not continue, but if parents stop bullying their kids from fear of the police or the authorities, it will only increase their sense of disempowerment. Their focus will be again on gaining power without the authorities’ knowledge, which will create another cycle of making kids afraid of reporting and worse, hiding their physical injuries and hurts from others. This reduces the support structure available to bullied children and the chances of stopping the bullying or recovering from it. Parents must stop the parental bullying cycle not because of the fear of being caught, but because they have gained power and understanding through developing their emotional intelligence. This way, the parents will be happy too. We must stop the cycle of bullying so that in 10 years, we will talk about it as history and say, “This is what people did in the past, but we are more civilized and in control and we are better parents for our children”. We need to be proud of making a difference. I told my 22-year-old daughter Eden I expect her to look back on her life, judge my parenting style and my philosophy in life, do spring cleaning every spring, every birthday and every New Year. I want her to decide what parts of my parenting she likes and wants to adopt, what she liked but does not want t adopt because of different circumstances and what she does not want to adopt and will make a conscious decision to change. I told her that doing things exactly the way I did them, without judgment and without questioning, ensures our society stays stagnant and does not improve. For my grandchildren, I want a better life than my kids have and I can only guarantee that by teaching my kids to throw away some of my philosophies and behaviors and make better ones. In this post, I want to help parents discover if they were bullied themselves when they were young and if there is a form of bullying in their home towards their own children. Go over the list of abusive behaviors below and find out which of them was part of your life as a kid and/or is part of your kids’ life. You can see that some of them are more serious than others and that while some are very easily defined (kicking), others are a bit more subject to interpretation (criticizing). This exercise is not meant to judge your parents in any way but to help you find the correlation between their parenting style and yours. Often, it is hard for us to admit that we are bullies, but when we examine it honestly, we can discover that although we may be doing it differently, we are doing something that is similar to what our parents have done (which we hated). Also, I use the word “parents”, but one bully parent is enough to do lots of damage. If this person is you, be courageous enough to write your name next to your behaviors, but if another person you know (your partner, a family member or a teacher) shows such behavior towards your child, write it down too. 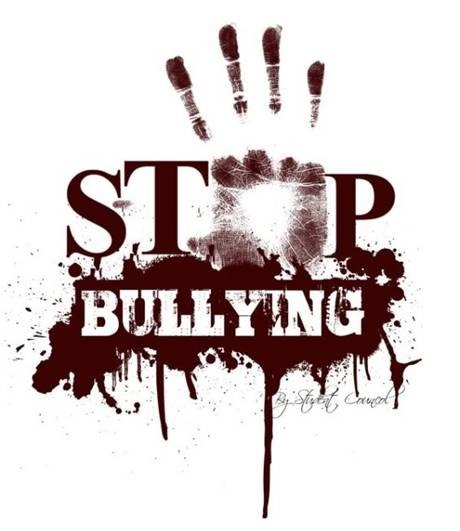 Being aware that there is some form of bullying in your family is the first step to stopping it, because you cannot stop something you cannot see. If you are not sure if a particular behavior is bullying, tick it too. You will have a chance to examine it later. When you are done going over every one of the items on this list and discover the forms of bullying in your house (hopefully none), you have done the first step towards stopping the cycle. What our parents have done in the past has not survived the test of time. The proof is that today, no one considers violence acceptable, not even as a form of education. 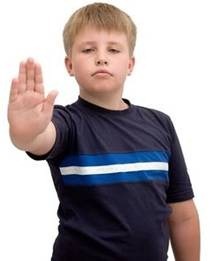 Still, with the law that prohibits bullying towards our own kids, there are many sick stories of abuse that the hand of the law cannot reach, mainly because stopping it from fear is not the same as stopping the cycle due to understanding and developing emotional intelligence. Join me next week as I go over the bullying behaviors and give a process and some tips to stop them. Some of them I suggest getting rid of, because nothing good can come out of them, and others can be softened and minimized down to elimination. Each tip in itself can be a life-changing experience. It may not be easy to do, but it is worth it. Your kids are worth it.